Does travel make us nicer people? According to a 2016 study on the connection between spending on experiences (versus material things) and gratitude & giving, it sure does. Experiences like travel, cultural arts events and eating out are likely to generate gratitude, and when we are grateful, we are kinder toward others. In our book that’s a win-win. Heading to the gorgeous canyons of Utah to take in the beautiful views, and get your blood pumping with mountain biking and hiking trails galore? Keep that good-for-your heart, good-for-your soul vibe going with a visit to the Best Friends Sanctuary — the nation’s largest no-kill shelter, home to about 1600 dogs, cats, birds, rabbits, horses, pigs, goats and more. According to their website nearly 30,000 people visit each year to tour and meet the animals. Beyond taking a tour of the shelter, there are plenty of opportunities to volunteer while staying on property or nearby. Located just 30 minutes from Zion National Park, you can help while you visit for a day or two (or more!) 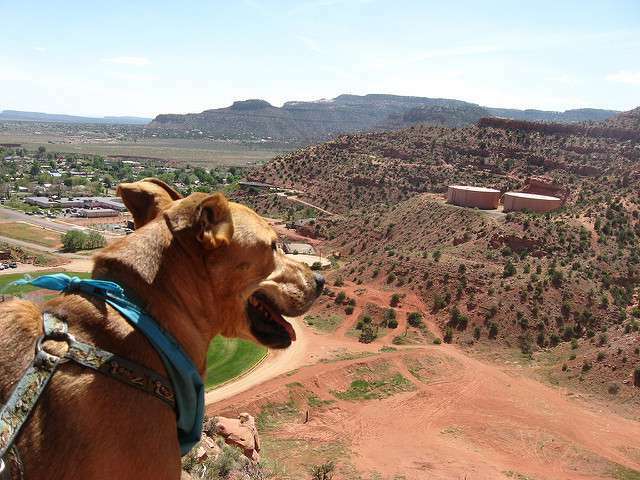 at one of their on-property accommodations and RV sites, or in nearby Kanab. There’s no shortage of ways to help including cleaning cages, taking a dog for a hike or, our favorite — an overnight visit with a deserving dog or cat. We promise, you’ll leave this beautiful spot feeling like you’ve given and received plenty of feel-good energy from the animals and fellow volunteers. For more on Best Friends, check out this Katie Couric World 3.0 video. Planning a family trip to central Florida’s Disney World and Universal Studios theme parks? We don’t know a better way to share with your kids the values of kindness, empathy and doing for others, not to mention gratitude for health. For an example list of onsite volunteer opportunities for adults and kids aged 12 years and older, click here. Whether it’s something so simple as greeting an arriving family at the airport with a sign made especially for a child, assisting with the operation of a carousel, or scooping ice cream in the resort’s ice cream shop — it’ll all make you and your older children feel so good…and grateful. For more on how spending money on experiences makes you a better person, read Time.com’s recent Money article. 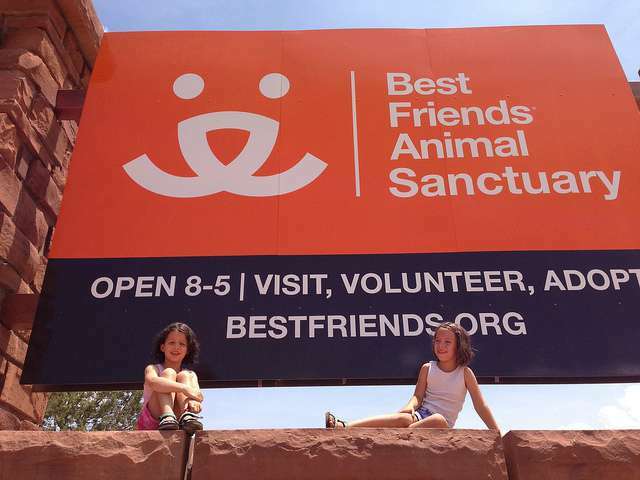 Then, see this list of 10 best family volunteering vacations from USA Today. There are so many great places and causes waiting to be graced with your presence! 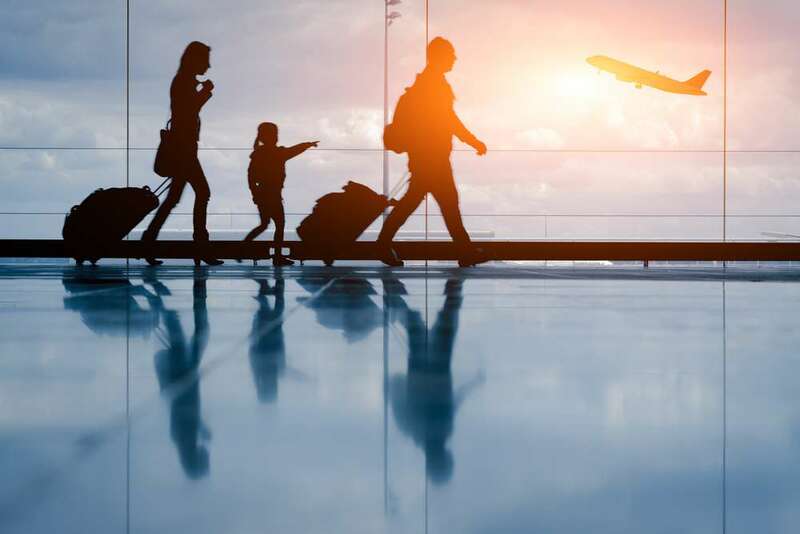 If you want to find out for yourself how travel makes us nicer people, but you aren’t sure how to finance a getaway, look to us for a vacation loan. One of our Destination Anywhere loans can help you get anywhere your heart desires. Apply now and see how quick and easy it is. Funds can be deposited in your vacation account in as quickly as one business day after approval — and that’s when you can set your sights on the place you’ve been dreaming of.